The latest creature comfort painting. A new little watercolour sketch. 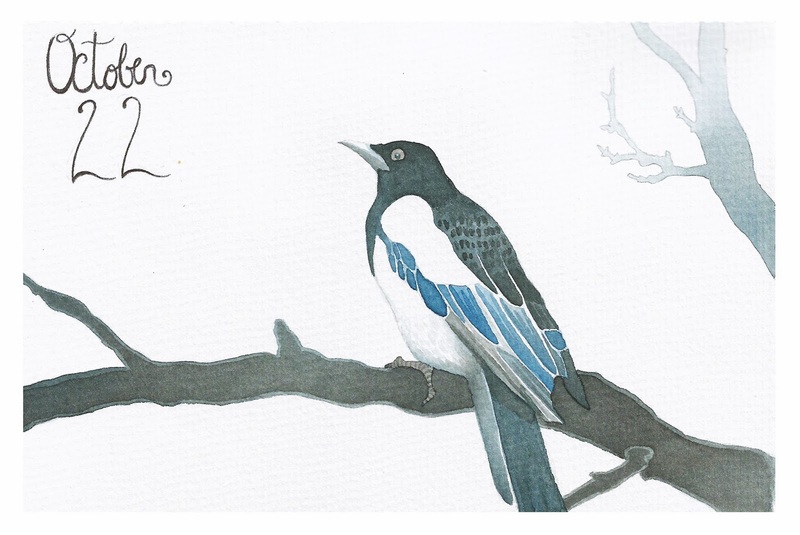 I was inspired to make this one because every morning since I've been here in Colchester, these lovely magpies park themselves in the trees outside my window and chat with each other at length. It's a wonderful way to wake up, even if it does sound a bit like good-natured scolding! One of the great pleasures of my life is to start the day with a cup of tea (those who know me are aware of my chai addiction and are begging me to seek help) and a book. 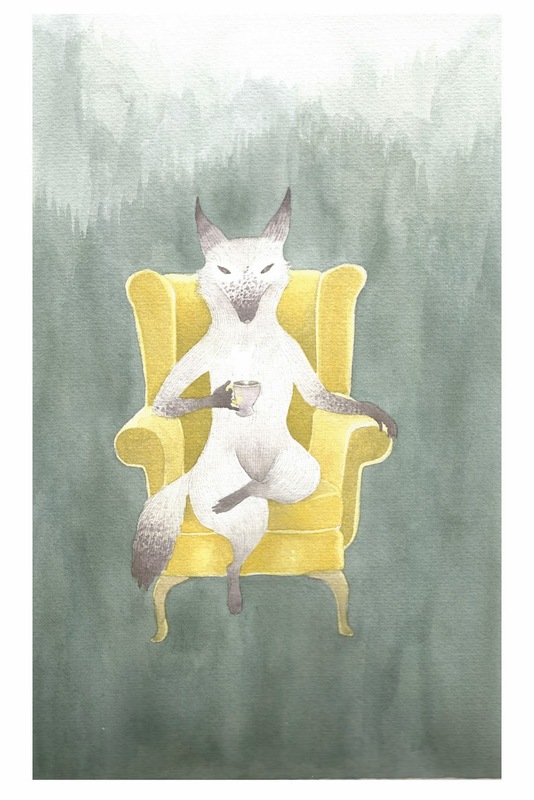 The one I am currently obsessed with is titled Gossip from the Forest by Sara Maitland. 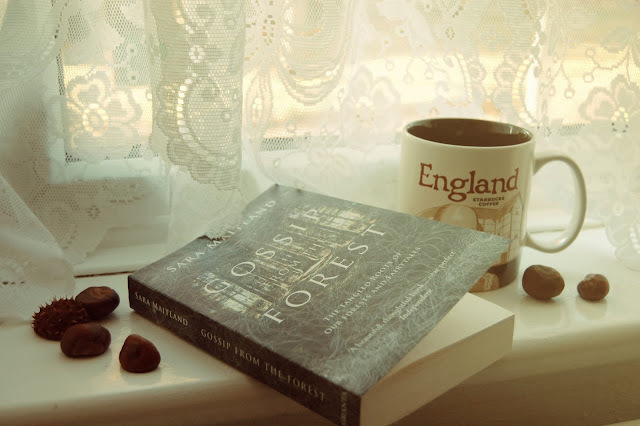 It explores the relationship between forests and fairy tales. It is entertaining, informative and extremely inspiring. Holloway by Robert MacFarlane, Dan Richards and Stanley Donwood. You can also see some of the beautiful images that accompany this book here in this little slideshow.